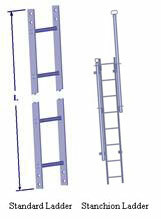 Ladders can be also supplied in the above sizes in Stainless Steel Gr316. Prices and availability on request. These are made to order and are supplied with Stainless Steel Gr316. Wall/Floor Brackets and fittings.